Pencil thin eyebrows are definitely out! And no, it's not just because it's no longer the latest fad but also because it imparts a mature look to your face. Our brains associate thick, groomed eyebrows with youthfulness. A fuller, thicker brow is mostly associated with the look of a younger looking person and a teenager. "When brows are thin and light, they make your features disappear, adding years to even the youngest looking face," says Damone Roberts, a celebrity eyebrow artist. Bushy, straight and thick eyebrows is the most in-thing these days! 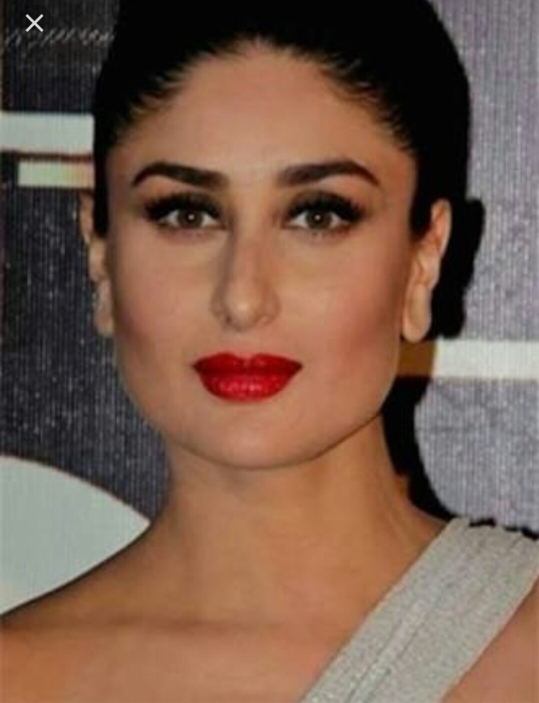 Kareena Kapoor, Cara Delevingne and Penelope Cruz are all sporting this look. You can knock off a few years from your face by going for thick, bushy, dark but shapely eyebrows. It's a wrong notion that if you increase the height of your arch, it will "lift" your face. Instead of looking youthful, you'll end up looking "angry" or "surprised". Besides the high-arched eyebrows look is passé and is not likely to make a comeback soon, says celebrity makeup artist and eyebrow specialist Elke Von Freudenberg. The bold brow is in and the straighter the brow, the stronger the brow looks. If you’re not wanting to give up your high arches just yet, try a more subtle rounded arch. It’s a little flatter than the high arch, but not as severe as the no arch, she adds. Actually sporting these straight brows is a Korean trend and is quite a a rage; it's hugely popular as it helps achieve a healthy, youthful look. But as with all trends, this too is going to be replaced by a newer trend where brows are slightly arched and are of softer shades says Cat Koh, Global Training Manager of popular Korean makeup brand Laneige. Whatever be the trends, it's a fact that thick, dark eyebrows do add a youthful look to your face. Let your eyebrows grow completely before you try this look. Just leave your brows alone for a few weeks — do not pluck, thread or brush them. Don't even bother to remove the strays. Just let them be. (And never ever use a hair-remover on your eyebrows.) And when your eyebrows have grown to their full capacity go to a beauty salon and ask for them to do this look for you. If a straight look seems too harsh for your face, you can opt for the subtle rounded arch, as suggested by Elke. Even though you may shape your eyebrows for a thick, straight look or the slightly rounded arch, your brows may be scanty and light and not appear thick enough. You get these brow gels or brow powders like New York Color Browser Brush on Brow Powder, WET n WILD Ultimate Brow Kit, L'Oreal Paris Brow Artist Genius Kit or Maybelline Fashion Brow Duo Shaper. Apply it on your brows to make them appear darker and fuller. Brow powders, brow gels or brow mascaras can give your brows a well-groomed finish. These should be your first choice for filling in your brows and not an eyebrow pencil. There are several videos on YouTube which show how to fill in the gaps in your brows and make the brows look thick and bushy without giving it an unnatural look. If you are using an eyebrow pencil, you should avoid drawing one dark line but use the pencil in small, light strokes, one over the other, just the way your eyebrow hair looks, advises makeup artiste Clint Fernandes. t is said that castor oil is great for hair growth. "Before you retire for the night, make sure you apply castor oil with vitamin E oil, using a brush, on your scant eyebrows," Your brows will grow faster, leading the way to a fuller look. Get only the extra hair growth removed for a month — this will let your eyebrows grow out well. You can then get the desired shape you want.